The Jaguar F-Type is a two-seater coupe or convertible that recaptures British luxury brand's iconic heritage in a new body. The F-Type arrived for the 2014 model year as the replacement for the XK coupe and convertible. It shares some of that car's aluminum construction techniques as well. This year, the F-Type lineup adds a new base model powered by a 2.0-liter turbo-4. 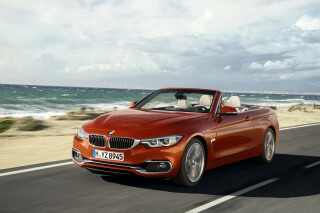 That engine is available in both coupe and roadster guise, albeit only with an 8-speed automatic and rear-wheel drive. With the F-Type, Jaguar has a coupe or convertible that can compete against luxury cars such as the Mercedes-Benz SLC Class, Porsche 718 Boxster and Cayman. In top specs, the F-Type is rivals for the Chevy Corvette, Porsche 911, Mercedes-AMG GT—even some supercars. A new naming scheme for its trim levels came to the 2019 F-Type. The F-Type ushers in some new design themes for Jaguar. It sports a high front end—in part to handle European crash regulations—and LED front lighting, with some strong influences of Maseratis and Corvettes of the past. The taillights are also LED units, and Jaguar says they're the thinnest shapes that could be manufactured. The cockpit has an asymmetric, driver-oriented theme, with the passenger fenced in by a large center-tunnel grab handle—a strong visual cue to the F-Type's dynamic intentions. There's a big LCD screen for infotainment and settings, while a set of rotary knobs controls some secondary functions. Not everything's been steered off into touchscreen interfaces, thankfully. The Jaguar F-Type was offered with three engines at launch. 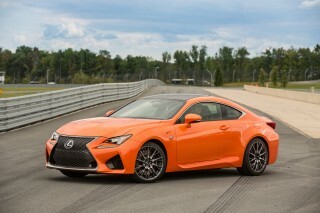 Two were supercharged V-6s, both 3.0-liter units, one with 340 horsepower and the other with 380 hp. In its slowest form, the F-Type will accelerate to 60 mph in 5.1 seconds. But with the top-level supercharged 5.0-liter V-8 with 495 hp, it's capable of 4.2-second 0-60 mph times and a top speed of 186 mph. A 2.0-liter turbo-4 was added in 2018. At launch, the F-Type was offered with rear-wheel drive only, and all models featured an 8-speed automatic transmission. 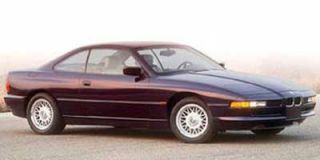 At that time, Jaguar said it was considering adding a manual transmission to the car, something it made good on with the announcement of the 2016 model. A bit larger than the intended competition of SLC, Boxster, and Z4, the Jaguar F-Type is about 176 inches long, riding on a wheelbase of 103.2 inches. Curb weight of about 3,500 pounds is kept low with aluminum construction down to the suspension level—it's all independent, and steering is electric. There's also an available adaptive suspension that allows the F-Type's responses to be switched from a comfort mode to a sport mode. Luxury features haven't been left off the menu just to save a few ounces—not if the well-heeled buyer wants them. Power sport seats have manual fore/aft adjustments to save weight, but upgraded "Performance" seats are an option, as is full power adjustment. Audio systems come from Meridian, with either 10 or 12 speakers, and either 380 or 770 watts of power. The convertible top is power-operated, and it's lined in Thinsulate to reduce noise and heat transfer, folding in such a way that no tonneau cover is needed. It also lowers or rises into place in 12 seconds, at speeds of up to 30 mph. A wide range of personalization options are also available. A coupe version of the F-Type was launched in 2014. 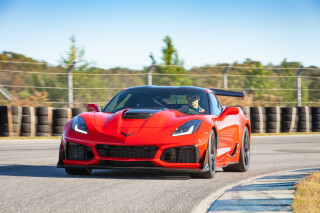 It was also the only body style offered in the new V-8 R trim, which is good for 550 hp and 4.0-second 0-60 mph times, as well as a 186-mph top speed. For 2016, all-wheel drive became available on the V-6 S and standard on the R. Rear-drive V-6 and V-6 S models became available with a 6-speed manual transmission. 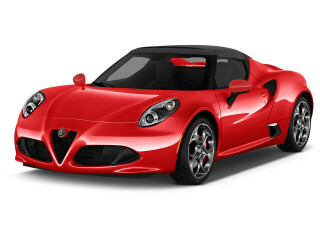 The convertible gained an R model, while the former V-8 S convertible model was discontinued. For 2017, the F-Type's trunk was reconfigured for slightly more storage space. The headline for the new model year, though, undoubtedly was the addition of the most powerful F-Type yet, the SVR. 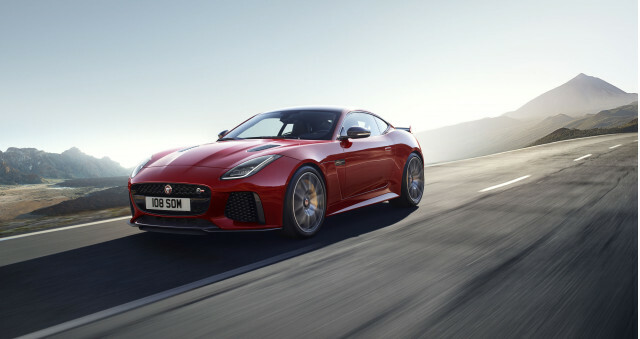 With more horsepower and a top speed of more than 200 mph, the F-Type SVR offers standard all-wheel drive and a 0-60 mph time of under 3.5 seconds. The 2018 model year brought a new base engine: a 2.0-liter turbo-4 paired to an 8-speed automatic and rear-wheel drive. FABULOUS LOOKING, GREAT SOUND AND WORLD CLASS PERFORMANCE. F-type is a sport car and i like all sport cars but when i was seen this car i love it.. The more I drive it the more impressed I am with this car.